The year is 1880. The place, Two-Time, Texas, a town filled with gun-toting opinionated people with short fuses. In best-selling author Margaret Brownley’s opening book in her A Match Made in Texas series, Romeo and Juliet gets turned on its head and thoroughly (and delightfully) “western”-ized. Meg Lockwood and Tommy Farrell have been friends all their life. Children of feuding jewelers who seek to control the town by imposing their own time zones, their wedding was supposed to broker a much sought temporal compromise that goes up in flames when Tommy jilts Meg at the altar. The sole witness to her humiliation, Grant Garrison, an East Coast lawyer who has recently moved to Two-Time after the tragic death of his sister. Enchanted by Meg’s beauty and courage, Grant nonetheless agrees to represent Tommy in a breach of promise suit filed by meg’s furious father. Despite their constant run-ins and instant mutual attraction, Grant stays away from Meg and is the perfect foil to the crazy Texans he’s surrounded by. Despite his staid demeanour, there are flashes of wit and a wicked sense of humour. Meg, on the other hand, was a romance heroine I had difficulty warming up to. At first, her thinking seemed provincial and mired in outdated societal mores like propriety and obedience. However, as the story progressed, however, and Meg herself started questioning the roles women are required to play throughout their lifetime (and the alternate ways they can wield power in the absence of political rights) gave the novel a much appreciated proto-feminist bent. I haven’t read a lot of “clean” romances and it took me over 150 pages to realize that Left at the Altar was one of them. Ms Brownley managed to adequately convey the chemistry between the protagonists, though it is my personal belief that romance could have been developed a tad better. There were a lot of parallel story-lines which left little room for the romance to blossom independently. The breach of promise suit proves to be a very interesting plot device and also ends up being quite educational through the nuanced arguments made in court and the author’s note at the end of the story. The feud angle felt a bit contrived to me in the beginning but the twisted revolution towards the end proved to be a satisfying explanation. Ms Brownley does a marvelous job of fleshing out her secondary characters and many remain memorable. 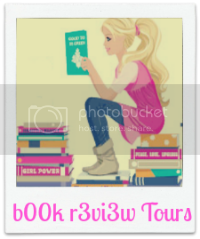 Ms Brownley’s Left at the Altar is a fun opener for her A Match Made in Texas series, incorporating socially conscious historical fiction with good, clean romance. So, funny story. I bought a copy of The Devil’s Consort without looking at the synopsis and the cover (local indie bookseller recommendations FTW), thinking it’s another Philippa Gregory. Instead, as you can see, the cover said, “Better than PHILIPPA GREGORY” like it could read my mind. Mildly apprehensive but buoyed by the tagline of “England’s Most Ruthless Queen”, I settled in to read a book where I knew I wouldn’t stop making comparisons. Despite my negative (and totally wrong) preconceptions, I found it to be action-packed, full of intrigue and emotional drama, very similar to chick-lit but with greater impact because it’s loosely based on historical fact. For those of you who are as ignorant as I was on the subject of the European monarchy in the Middle Ages of the non-Tudor variety, Eleanor was a pretty powerful lady; Duchess of Aquitaine (a sizeable region of France) in her own right, she was also the only woman ever to have been queen of both France and England. Documenting the early part of Eleanor’s life, the first person narrative of Devil’s Consort keeps the reader privy to the Duchess’s most intimate thoughts throughout her disastrous marriage to King Louis VI and the initial years of her relationship with King Henry II. Those amongst you who don’t consider yourself history buffs should feel a little more well-educated on the subject of Eleanor of Aquitaine after reading this book, thanks to O’Brien’s in-depth portrait. A former history teacher, the author has obviously used her passion for the subject to drive her writing, although in places it seems like O’Brien has been so desperate to display her knowledge surrounding the subject that it detracted from the flow of the book. In particular, parts of Louis’ Crusade were so drawn out that just reading these sections felt slightly like a crusade in itself. Like most historical novels, Devil’s Consort probably takes a fair few liberties with the truth by filling in the blanks in order to make the story as interesting as possible, but from reading around the subject it seems O’Brien managed to stay fairly true to historical accounts. Whilst Eleanor is not the easiest character to love, I did empathize with her frustration at the misogynistic laws which rendered her largely impotent in comparison with her male counterparts. Devil’s Consort’s main fault lies in its length and the author’s sense of timing. Over the course of the novel the narrative varies from covering a few days in several pages to many years in one page, and there doesn’t seem to be a good balance. As O’Brien has chosen to document a real person’s life which readers may already be familiar with (even those who aren’t are greeted with an Aquitaine family tree before starting the story), I would have preferred a little more emotion and excitement into the writing in order to truly grip the reader. Sadly, Devil’s Consort is not quite captivating enough to obtain the affections of those who don’t have the best relationship with historical novels. Overall, it was a decent read, particularly as the reader’s guide at the end gives you further suggested reading to delve more deeply into the historical background and more factual research into the character of Eleanor of Aquitaine. I am particularly excited to read more on what happened to Eleanor and Henry after the novel drew to a close. A #GIRLBOSS is someone who’s in charge of her own life. She gets what she wants because she works for it. As a #GIRLBOSS, you take control and accept responsibility. You’re a fighter–you know when to throw punches and when to roll with them. Sometimes you break the rules, sometimes you follow them, but always on your own terms. You know where you’re going, but can’t do it without having some fun along the way. You value honesty over perfection. You ask questions. You take your life seriously, but you don’t take yourself too seriously. You’re going to take over the world, and change it in the process. You’re a badass. Sadly, the answer is that it’s very improbable. While the book gives a fairly comprehensive account of how Nasty Gal came to be, it is severely lacking in genuinely thoughtful advice on how to become a #GIRLBOSS. For someone who got her retail experience from shoplifting bestsellers from bookstores and reselling them on Amazon while hitchhiking, dumpster-diving and reading anarchist literature, I expected a lot more analysis of her transition from freegan to CEO. What it boiled down to was that she got sick of “agonizing over the political implications” of her lifestyle and realized that she liked “nice things“. That’s fine. Amoruso might not have an answer to the big philosophical questions in life but since she has portrayed herself as a no-nonsense leader, you’d think she has some solid tips on how to run a successful business or be a good manager. Again, the “advice” in this book is full of cliches like “work hard” and “be yourself”. None of it is specifically directed at girls, which makes the unfortunate title of the book redundant. Instead, there is a chapter called “On Hiring, Staying Employed and Firing” which focusses on how to get an entry-level job. And like many successful people, Amoruso likes to emphasize her own attributes and discount the lucky breaks she caught along the way. She got off with a warning when caught shoplifting. She didn’t face familial pressure to go to college or get a steady job. She sold clothes on eBay in its heyday as an alternative marketplace. My problem with bootstrapping narratives like this one is that it implicitly rebukes anyone who didn’t “make it”, as if it shows that they simply didn’t want it enough. There were also two big issues that the book also failed to address. First, nowhere did it mention the unique challenges that women face on their journey to becoming #BOSSes, like balancing work and family, negotiating salary and walking the fine line between being persuasive and powerful and being perceived as “pushy” harridans. On the contrary, she equates bringing in a baby with you to an interview to bringing in a beverage or a pet and calls them both “Interview No-No’s That May Doom You To Unemployment“. Second, the book said next to nothing about fashion considering the author is the CEO of a multimillion-dollar fashion brand. From what I gathered, Amoruso doesn’t seem to have a very high opinion of fashion and compares the New York Fashion Week to a “high-school outfit contest“. I appreciate Amoruso’s attempt to empower her readers and the life experiences she shared were unique and entertaining, but I didn’t enjoy reading the book. I wasn’t inspired by her personal message as I was by her story, if you know what I mean. Make no mistake, I honestly and deeply respect: her work ethic, her persistence and perseverance, creativity, resourcefulness and entrepreneurial success in creating a highly profitable business without having the advantages afforded by a formal education or financial backing. 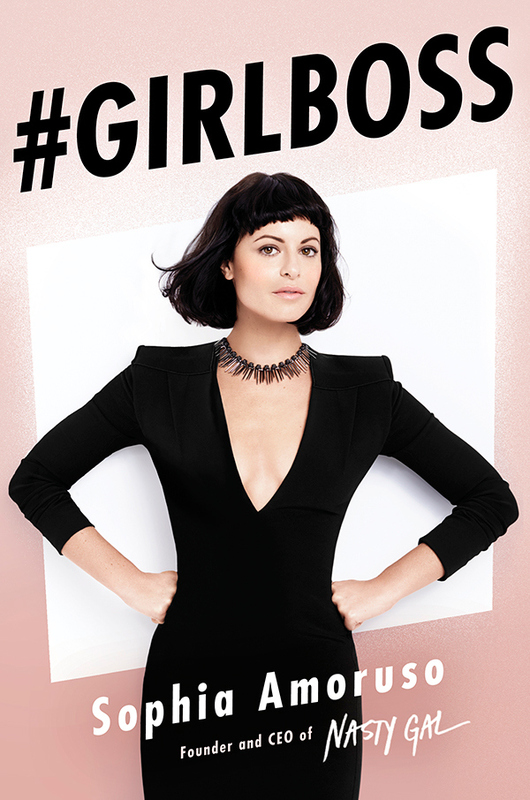 Sophia Amoruso seems to be an amazing woman and what she has done for herself is inspiring. But is #GIRLBOSS also inspiring and amazing? I didn’t think so. I would still recommend it to others my age because it might motivate them and they might get more out of it than I did. Speaking for myself, I’d just say…meh.